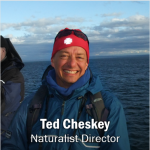 Ted Cheskey, Naturalist Director of Nature Canada attended the 27th International Ornithological Congress in late August, in Vancouver with about 2000 other delegates from around the world. 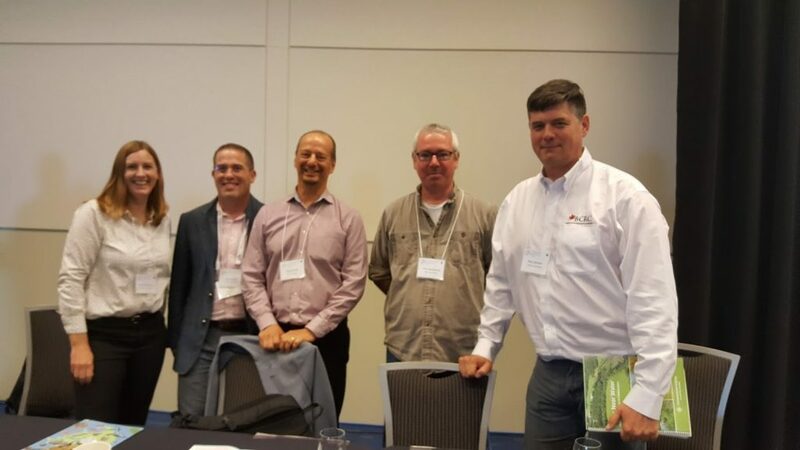 The congress was organized by the International Ornithological Union and co-hosted by Bird Studies Canada (BSC), Nature Canada’s co-partner in BirdLife International. Here is a first person account of the week-long event. Anne Murrary talks about Boundary Bay. BSC organized a bus tour of the Fraser Delta for about 40 participants representing a wide range of interest groups sharing interest in protecting the Delta. We made four stops to experience key habitats and issues. At each stop an expert provided a commentary on a major issue for participants. 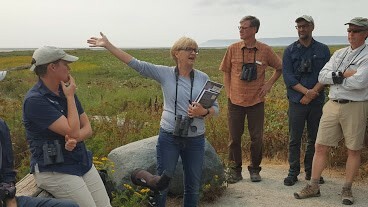 For example, Anne Murray, past Nature Canada Board member and author of two books on Boundary Bay, shared her thoughts on the history of and challenges faced in this biologically rich section of the Delta. Roger Emsley of BC Nature talked of his campaign to stop a major expansion of the container shipping terminal at Robert’s Bank that threatens habitat which supports hundreds of thousands of Western Sandpipers and other species. At another stop, we visited a farm, where the farmer, whose barn was home for the Endangered Barn Owl, lamented about how rodenticides used on some farms in the Delta are gradually killing off the Barn Owls. This trip painted a rich portrait of this remarkable area and the incredibly complex issues and relationship affecting it. Nature Canada is calling for protection of the Delta and a re-invigorated version of the Fraser Delta Management Plan. Canada Night celebrated Canada, and some of the people who have made great contributions to bird science and bird conservation. 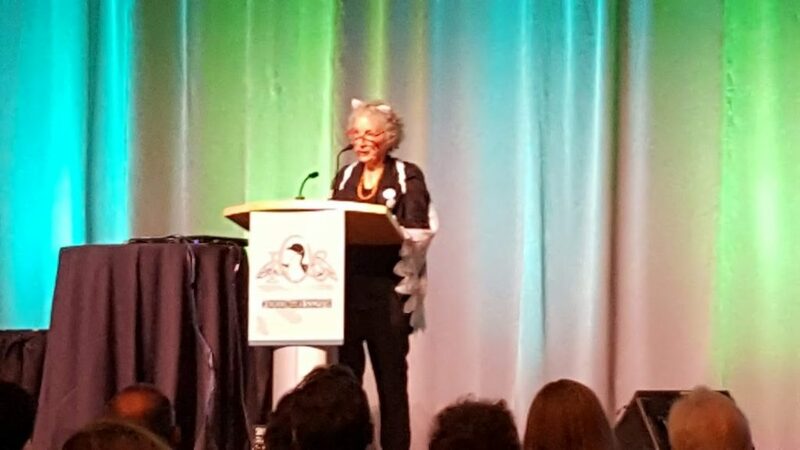 The featured event was a speech by renowned Canadian author, Margaret Atwood. Ms Atwood talked about the many issues that impact birds, naturally including roaming cats. She gave a humorous introduction to her graphic novel series Angel Catbird, which aims to raise awareness and motivate positive action on the issue of cat predation on birds. Listen to an excerpt of her talk by clicking here. This was another proud moment for me – to be Canadian and to be part of the Nature Canada campaign that was kick-started by Ms Atwood to Keep Cats Safe and Save Bird Lives. of Waskaganish, in Southeastern James Bay, Marc-Antoine Montpetit, our crack birder, found a family of Horned Grebes, including adults and two young, in a beaver pond just back from the shore. He went on to find three other families over the next several days on other beaver ponds. That discovery represents a significant range expansion of the species at risk. The nearest confirmed breeding is over 700 kilometres to the west and about 1300 to the east. 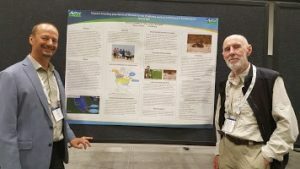 I was able to present this story in the form of a poster at the IOC, during one of the poster sessions. The way that works, is that I put my poster up for three days, and had to stand in front of it for 90 minutes on Thursday afternoon to engage interested passersby. We are always grateful to work with the Cree communities around James Bay. One of the unexpected benefits of this work, largely focused on shorebirds, is the discover of threatened species in places where they were previously unknown. The final event in which I participated was called the Stewardship Roundtable, organized by the BC Stewardship Centre and BSC. The Roundtable consisted of a series of 90 minutes sessions, that included a panel of experts presenting, followed by an open discussion on significant bird conservation issues of interest locally and beyond. This Roundtable was also open to the public and attracted many people who were not attending the Congress. Our Cats and Birds Program Manager Sarah Cooper and I were panelists with three other cats and birds experts on one of the first sessions on stewardship solutions to this difficult problem. We had a lively but polite discussion that included the participation of Dr. Pete Marra, Director of the Smithsonian Migratory Bird Centre. After that session, went immediate to a second panel, this time under the theme of agriculture and birds. One of my fellow panelists was Dr. Christy Morrissey, of the University of Saskatchewan. 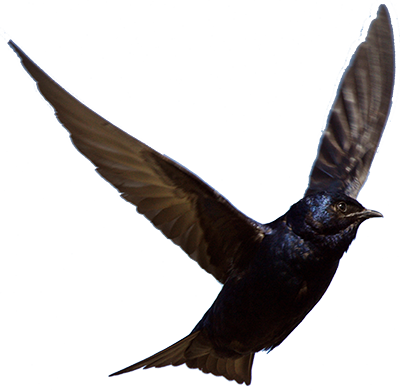 Dr. Morrissey is a world expert on the impact of neonics on birds and other wildlife, though she largely steered clear of the issue in the session. My presentation was on the relationship between trends in agriculture in Canada and trends in bird populations.